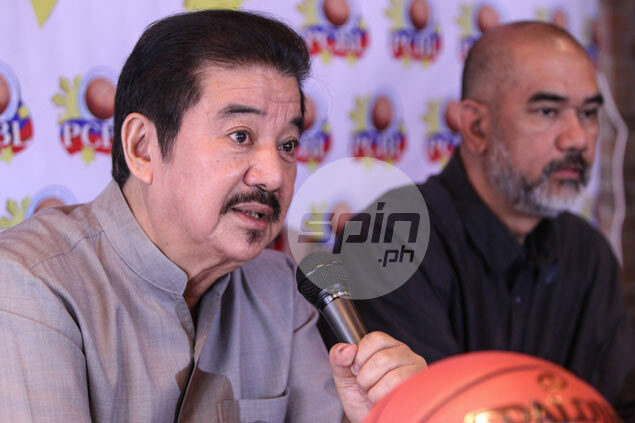 Former PBA chairman Buddy Encarnado has bared plans to bring the PCBL to Cebu. CEBU CITY – Where many have tried, Buddy Encarnado of the Philippine Commercial Basketball League (PCBL) will try to succeed as he intends to bring the south’s dormant commercial basketball scene back to life with the creation of the PCBL-Cebu. The longtime representative of the defunct Sta. Lucia Realty franchise in the PBA was in town on Thursday and bared that if all things go right, the very first season of the league will kick off in January of 2017, right before the Sinulog celebration. “We should be ready by January. The first start would be the pre-Sinulog tournament. We intent to make use of the festivities to usher in the new PCBL Cebu,” said Encarnado. Encarnado said that they are looking at staging the league’s initial salvo at the Minglanilla Sports Complex which recently hosted the finals of the annual Emil’s Cup Basketball Tournament — a cash-rich events which attracts some of the best amateur players both from Manila and all over the region. “I’d like to believe that this will be a new bandgwagon here in the south. Maganda itong inumpisahan ng Cebu. The idea was enhanced by me but it came from Jerry Oberes (owner of Emil’s Fresh Chicken) because they wanted their tournament to be accredited,” said Encarnado. This early, 11 teams have already signified their intention to participate in the tournament, with Encarnado set to meet with several more officials including Ormoc City Mayor Richard Gomez. While here, Encarnado has met with Cebu First District Rep. Gerald Anthony 'Samsam' Gullas, a noted basketball enthusiast and player aside from being the team manager of the University of the Visayas basketball squads. “It's good for Cebu. While it's good for ‘panalay’ players out of college to have job security, I find the main purpose of PCBL is to find hidden gems all over the province. Hidden gems that weren't given the chance to succeed when they were younger,” bared the youthful solon. Encarnado said they will veer away from the regular format of commercial basketballs for the PCBL's Cebu swing. Several groups have tried to revive the once-bustling commercial basketball scene here with the latest being the Countrywide Basketball League, helmed by coaching great, Joe Lipa, which folded up even before it can get off the ground after its main sponsor, ABS-CBN, backed out.